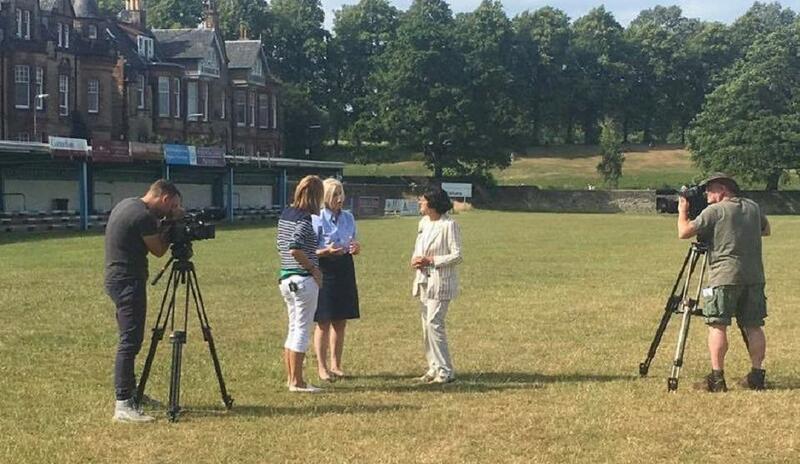 St Leonards featured on the BBC2 show ‘Celebrity Antiques Roadtrip’ on Friday, 11 January, with our former Deputy Head, APN Housemistress, Head of Games and lacrosse expert, Jane Claydon talking to the cameras about the school’s significant role in the development of women’s lacrosse. The first ever game of women’s lacrosse was played on St Leonards soil in 1890, and was brought to the UK by Dame Louisa Lumsden and Dame Frances Dove, the first and second Headmistresses of the school, who had been inspired after watching a men’s game during a visit to Canada in 1884. Today, lacrosse remains a core sport for St Leonards girls, who train throughout the year during their timetabled PE lessons and focus on fixtures during Spring Term, playing against school and university teams from across Scotland. Jane Claydon has written and published ‘St Leonards: Cradle of Lacrosse’, detailing the crucial role played by the school in the development of the game.